Spanning more than 1000 kilometres, the Atacama desert is the driest in the world and a must see travel spot in Chile. 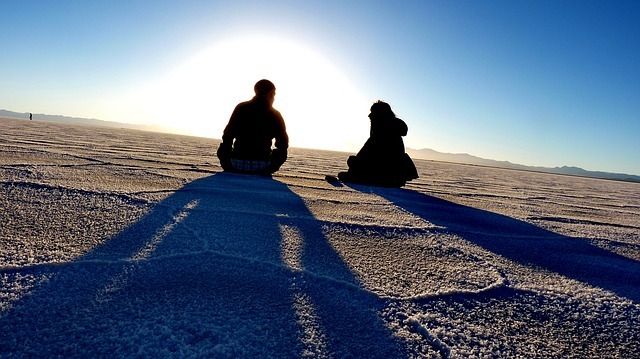 The landscape made up of salt flats, sands and geographic formations has been compared to Mars for its ‘out of this world’ looking landscapes. The area is so dry that it has never recorded a single drop of rain but that doesn’t mean it is not great for travellers. 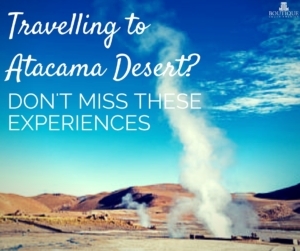 Travellers can actually visit Atacama in Chile all year round but what exactly is there to see? This is list is made up of unmissable experiences heading to this iconic desert. 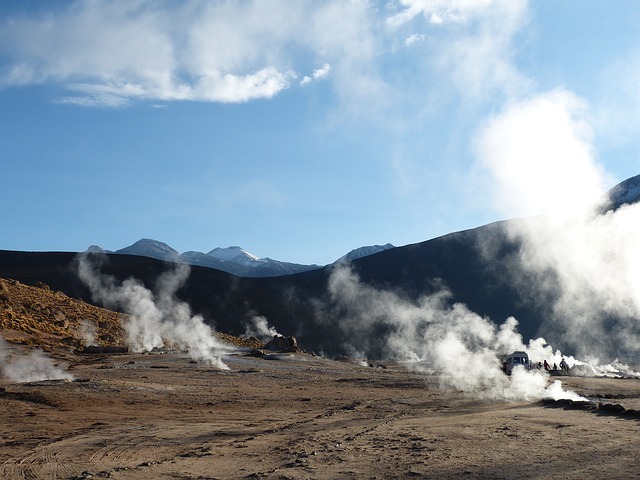 Probably one of this region’s most iconic travel spots, ‘Tatio’ means oven in Quechua which is not a surprising way to describe the more than 8o geysers set across the desert expanse. The best time to visit these is at sunrise or sunset for some beautiful contrasts against the scenic desert. Such little rainfall means very clear skies and as such, Atacama is home to some of the best star gazing you will find and some cutting edge astronomy labs. If you want to do more than just look above, you can even take tours to some and learn about the Andean constellations. Despite what you might first think, if you love amazing scenery, you can’t go past the desert for colours and contrast. Popular viewpoints in Atacama are the Cejar Lagoon, Moon Valley, Tara Salt Flat, the archaeological monument of Pukara and Devil’s Gorge. 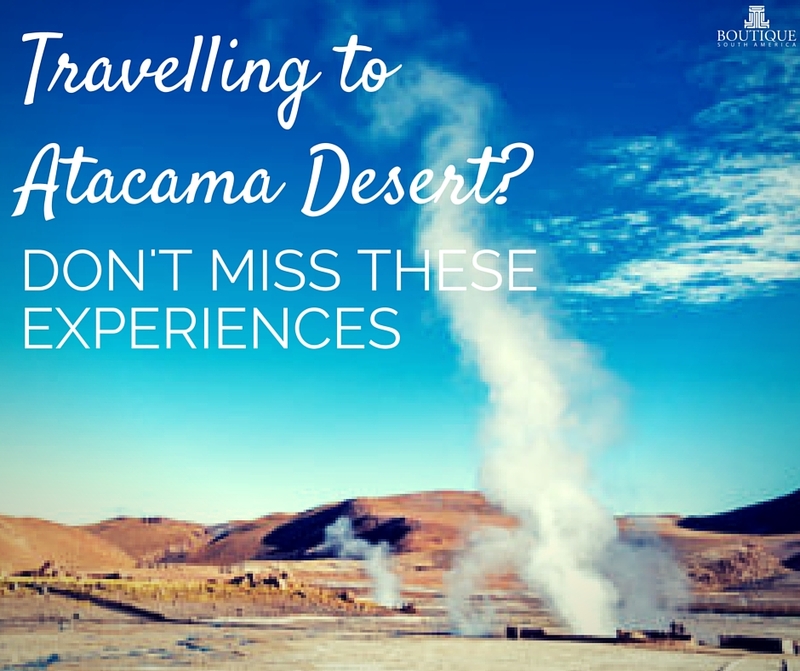 So what is there to do in this incredible Atacama desert, many things and in as many ways as you can imagine. Hiking to reach some great visitor spots is common (don’t worry, most of the time you will be taken by vehicle for part of the journey) mountain biking and even horse-riding is available to reach those hidden corners from which to admire the surrounding scenery. As an adventure destination, travelling to Atacama is about experiencing the driest desert in the world in a unique and rewarding way. 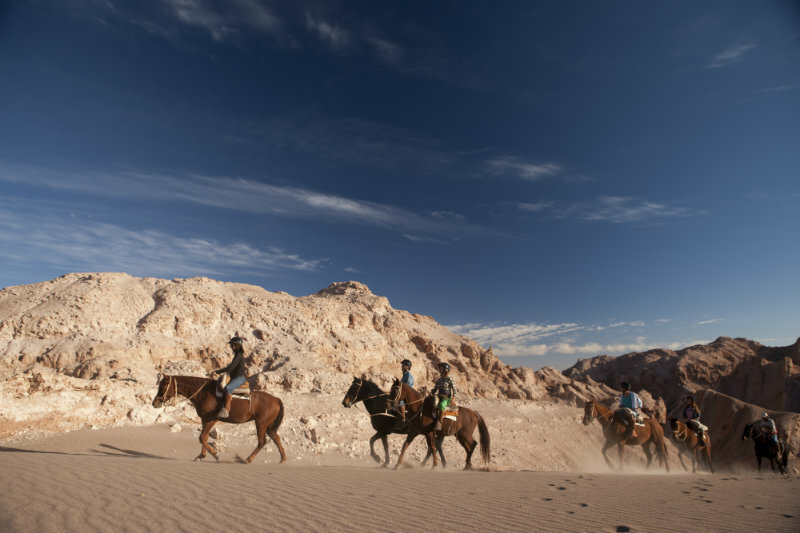 And given that you have some great excursions to choose from, an all inclusive lodge stay that includes tours as well as your lodging is a convenient way to discover Atacama. 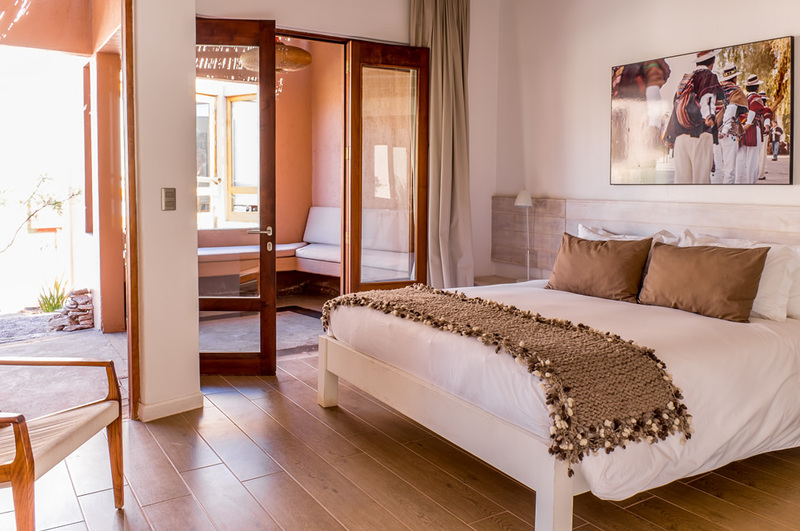 The Alto Atacama, Awasi and Tierra Atacama and Casa Atacama are just some of the lodges you can choose from.